On December 8, 1941 the United States officially entered World War II. The entire nation began to mobilize to assist in the war effort. 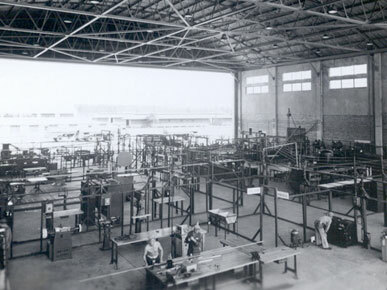 From building military equipment to buying war bonds the citizens of Alabama began to assist their nation in any way possible. 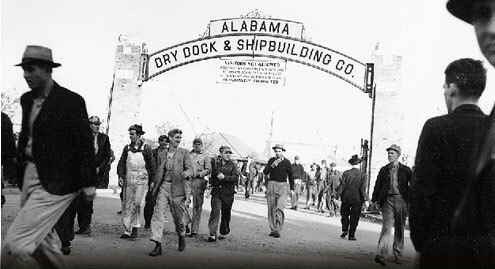 The state of Alabama assisted financially with the war, and industrially with its steel and shipping industries. The moment Alabama began to mobilize, it would never look back. 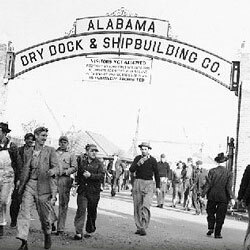 World War II would alter Alabama from a state that relied mainly on agriculture, to an industrial powerhouse. Throughout the entire state the city of Mobile benefited most during the war. 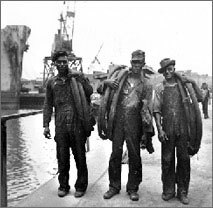 During the war over 60,000 workers were employed at its shipyards. For a century Alabama relied on cotton to power its economy. When the depression hit, Alabama had to diversify its industries. 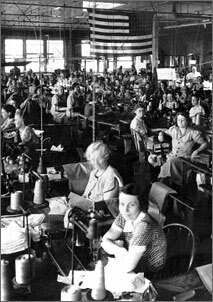 Textiles, steel, and shipping became industrial powerhouses in Alabama, creating new opportunities for African Americans and women. 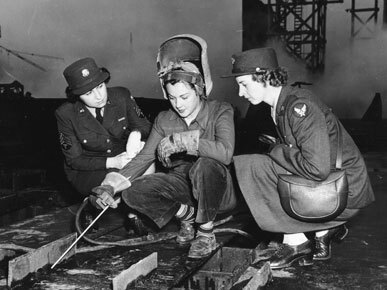 Women would quit their jobs as school teachers to go work on the shipping docks. African Americans however, would be presented with opportunities that most people in the deep South never thought they would live to see. After the Civil War, African Americans were commonly employed as farm hands or laborers. 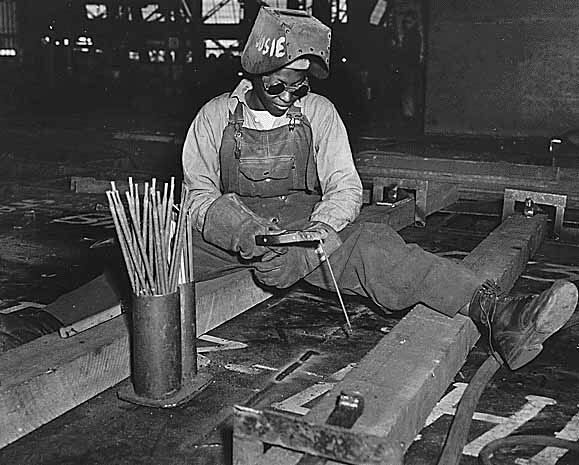 When the United States entered World War II, this all changed and the source of opportunity for African Americans was Mobile Bay. 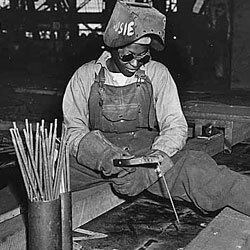 Many of them became soldiers, while others would become construction workers and laborers and welders in the shipping yards. 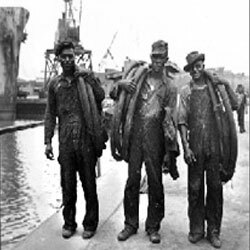 The war left labor in high demand, and African American were the only option for most of the shipping companies. The hiring of African Americans outside of agricultural labor was often considered "taboo" in the Deep South. Although African Americans proved they were an important part of society and the economy during World War II, disrespect still ran rampant in the South. All of these factors combined to create the Civil Rights Movement, one of the greatest social changes in the history of the United States. 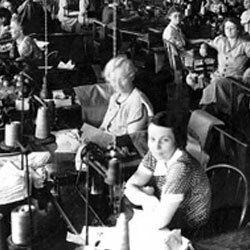 Women were historically homemakers during the early 20th century, and if they did work it was often as a school teacher. When Alabama began to mobilize, Women filled in the place that some men could not. A typical wage for a teacher during the time was around $800 annually, wages tripled in the shipping yards. 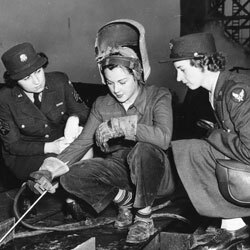 Iconic characters such as Rosie the Riveter, were popping up left and right; inspiring more and more women to join the workforce. Their families would also benefit from this by having two paychecks to live off of, instead of the typical family income of one paycheck. Mobile Bay was the source of all of these opportunities for Alabama. Women and men benefitted alike from the war. 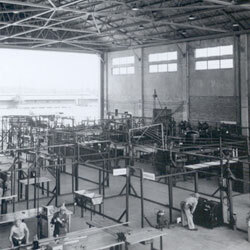 Industry boomed, with shipping and ship construction reigning supreme. When mobilization hit, Alabama changed into the modern state we know today. One of the biggest effects of all was the start of the Civil Rights Movement, that would later lead to equal rights for all people no matter what race they were. Alabama would be nothing like it is today without the help of a small shipping port at the base of the state, that would leave a huge impact for decades to come.